mAh per display square in. 184mAh/sqrin. 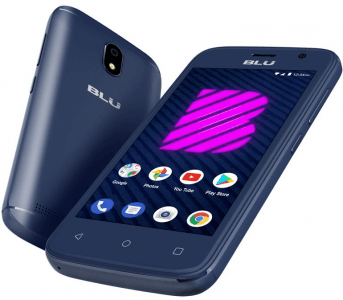 The BLU C4 touts one of the least-ambitious screens in BLU's 2018 catalog -- a mere 4-inch 800 x 480 WVGA display, and it comes with no more than 1300mAh of battery power, which is a very off-putting con, even coming from an entry-level smartphone. Also, it clubs its 1.3GHz engine and minuscule 512MB RAM with the Android Go operating system, which possibly makes it perform faster than some similarly-specked low-enders. 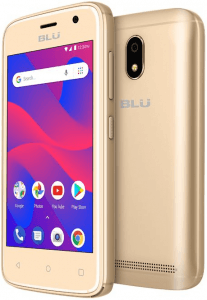 Pros and Cons Review BLU's C4 offers the efficiency-driven Android Go platform alongside primitive specs like a 512MB-only RAM and a 4-inch 480p display. We unveil its other cons and pros in this technical analysis. (more) New BLU phones View all the new and upcoming BLU phones.